XM [read review] is revolutionizing the way Canadian online trading users trade forex with the new Contest Arena. Compete against other traders for prize pools anywhere from $25 to $10,000 and more. There are thousands of contests available now for a large variety of instruments. If you are familiar with the Sit `n Go and MTT tournaments on online poker, you will quickly understand the idea behind the contest arena. To sign up for a contest, you buy a ticket. About 10% of the ticket cost goes to XE, and the rest is put into a prize pool. After the contest meets its required registrants, it begins! Contests range from 15 minutes to several weeks. After the duration of the contest is up, the winners are declared and rewarded their piece of the prize pool. It`s a revolutionary new way to play the markets! 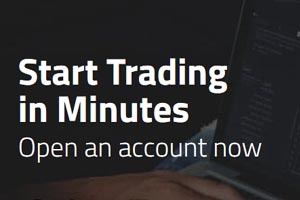 Sign up for online trading account Canada at XM [read review] today and have a go at the contest arena! "The is a good way to learn to trade. Low risks and high reward. Recommend this for new traders."